I hear the driver’s side door slam. Somehow every sound seems as if it has been amplified and colors around me are in high-definition since I woke up this morning. Today I was released from the hospital and am all loaded up in my husband Oji’s car. As soon as Ms. Dot had wheeled me outside to meet him, he grabbed my suitcase and the tote I carried on my lap. I get up slowly to thank and hug her for motherly watching over me the last couple of days. She finally releases me to my husband’s care, giving him a few last-minute instructions, including in which the advice that he should go to the pharmacy straightaway to fill my prescription. I have just about two hours before my last dose of pain medication begins to wear off, and the dulling pain returns. In the passenger seat, I hug a handmade heart shaped purple pillow to my abdomen and slowly rock; the nursing staff gave it to me as a gift after my surgery. The pillow is a tangible reminder of what I experienced the past week. This simple gift served multiple purposes during my stay, the first was to help me not put pressure on the sutures and staples that secured my incision as I moved around my hospital suite or slept. The other purpose was to provide comfort and remind me that I am loved. Oji makes sure I am buckled up in my seat before he secures himself and shifts the transmission into drive. It’s eerily quiet in the car’s cabin. Inside my head, I am riding an emotional rollercoaster, and my mind is still coming to grips with what the doctor, my husband, and cousin were trying to say to me the morning after I was finally admitted into my hospital room. It had taken them two hours to stabilize my blood pressure after the surgery. I had lost a lot of blood and was given two pints while I was with the recovery unit. After being transported to a semi-private hospital room, another two units are ordered, but it seemed as if they take forever to arrive and be administered. The crash cart was called after my blood pressure dropped to less than 60. My doctor had the right mind to stay on call even though it was more than twelve hours since I was admitted and five hours since she had closed her last suture. She came in with the crash team to checked on me and on my blood order. She learned it was being held up because of a clerical error. She requested for one of the nurses to immediately run down to the blood bank to get the units. The blood was administered less than ten minutes later, and my coloring returns. I slowly became more coherent, and I watched as my husband and older cousin Diana (a Ph.D. candidate in Clinical Psychology) bodies relaxed. My cousin Diana had come down from San Antonio to support my husband and me. As my only blood relative in the state of Texas and truly more so my older sister, it was a blessing to have her there. Six months earlier when I decided to schedule the surgery I immediately called her; her response to the news was to tell me to call her back when surgery date was confirmed. She wanted to put the vacation time in as early as possible so she could be there to support me. My entire life she has been there even when I had attempted to push her away. As far back as I can remember she would seek me out and force me (if need be) to come out of my shell. Each time after I lost a parent she was there to counsel me and tell me it was okay to cry. By the time I have truly stabilized, it was well past nine o’clock. My husband and I live about 45 minutes away from the hospital. At that point after being there with me all day, I release them to go home so all three of us could get some rest. My best friend Chi Chi of more than 25 years was also scheduled to fly in to check on me early the next morning. Oji was picking her up from the airport. A physician herself, she was going to review my doctor’s plan of care and help me if need be to understand the post-operative results. The next morning I wake up, and I am in pain. I haven’t eaten in more than 24 hours, but I am not hungry. All I want to do is use the bathroom, but I can’t. My nurse is trying to get me to walk, and I am fighting her. It just hurts so much. Each sip of water tastes like nectar from the gods on my parched tongue. Finally, around ten o’clock my husband arrives with my cousin and my best friend in tow. I had selectively checked my smartphone’s text messages, sending some calls straight to voicemail. I just wasn’t ready to communicate with the outside world. I didn’t even know the outcome of my surgery was successful. Ironically, my doctor comes around this time as well to check on me and help my husband deliver the post-operative results. I learn that my case was more severe than, what we had thought. It was learned once my doctor had me opened up and on the operating table that I had more than ten uterine fibroids, and the largest one removed was about the size of a grapefruit. Though she removed nine to ten noncancerous masses from my uterus, she had to leave a few more in and could not remove a cyst off one of my ovaries for fear of me losing too much blood and possibly dying. She advised, though we could still get pregnant, not to attempt. 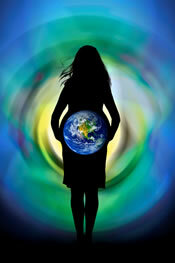 For fear that I would not be able to carry the baby to full term and because of the weaken state of my uterus. She even advised for me to consider getting a hysterectomy later on if the symptoms, related to my menstrual cycle did not subside as a result of the surgery. At that point, I felt like I had been suckered punch in the gut. 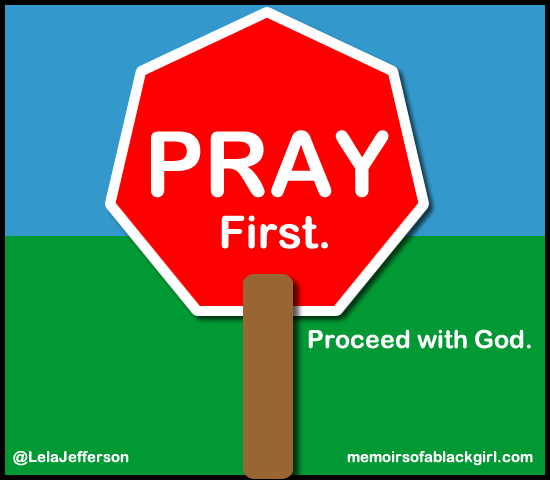 I remember just repeatedly shaking my head “No, No, No.” And saying, “My God is a healer.” I wanted to scream. Instead, I just laid back and closed my eyes for a second to attempt to hold back the hot stream of tears that were slowing trying to escape from my eyes. She then showed me the pictures she took while I was under of the masses. She had never seen a case like mine before and could not understand how I had not been in more pain than I had told her about during my periods. At that point I said a silent prayer and decided I would not be angry, I would just work on getting better. My husband, I thank God for him every day. Told me he was not concerned about us being parents. He knew if it was my desire to me a mother, we could adopt as we had spoken of before we went through all this and even knew of my diagnosis. He just wanted his wife to be healthy and happy. A small part of me felt as if I had failed him. At that moment I could only imagine how Hannah, the prophet Samuel’s mother felt seeing her sister time and time again birthing a child for their shared husband. Feeling just not enough, even when the man that you love says that you are. I did not feel whole. I felt lost in that moment and though in a room full of people that loved me, and very alone. I did not dare to question God, but I wanted to get a glimpse to his reasoning. Fast forward, back to that faithful commute back home with my husband. After about ten minutes of a deafening silence and bumper to bumper midday traffic on the Beltway; he begins to ask me leading questions to gauge how I was feeling because he knew after being married to me for three years and knowing me for more than twenty, that my silence speaks volumes. He didn’t want to see me begin to withdraw from reality and possibly go into depression. I finally told him, I was pissed off. That I was actually royally pissed off and did not think any of this fair. I had waited till I got married to think about starting a family. I had even been celibate for some years before we got together.